Have an wedding coming up? Your wedding invitations give guests a glimpse of your wedding — so make them count! We have everything you need from help with your wedding invitation design to quick and affordable turnaround. Having great invitations can really make the difference and get your guests excited about your upcoming special day. But it’s not just a wedding invitation. A proper event requires thoughtful planning and can include pieces like save the date’s, RSVP and thank you cards. At JP Graphics in Santa Clara we have a team of graphic designers, print professionals, and a great customer service team to work with you from start to finish on your invitations, including mailing! We’re a proud Carlson Craft Retailer™®. Do you have something specific in mind? Whether your style is classic or trendy, our designers will work with you to make it happen. 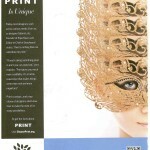 Green Paper, Gold and Silver Metallic Inks, and more…. We’ve been in the print industry for a long time, and we have some of the best paper vendors to supply you with the right paper for your job. Need a green paper made of recycled fiber? We are a Certified Green Printer and more. Want to really wow them? We offer sophisticated looks such as embossing, foil stamping, die-cutting and much more. We are a one stop shop. Because we have everything you need to produce great invitations, even down to the mailing, we provide quick service that can work within your budget. Some companies have to outsource part or all of the project, and you end up paying for that cost. We are your full service printing partner in producing beautiful wedding invitations and stationary to fit your needs. Contact us for a FREE QUOTE AND TEN PERCENT DISCOUNT! We’re a Carlson Craft Retailer™®.